A federal appeals court on Tuesday ruled that the structure of the Consumer Financial Protection Bureau (CFPB) is unconstitutional because the agency places too much power in the hands of its sole director. In the ruling, Judge Brett Kavanaugh for the U.S. Court of Appeals for the District of Columbia Circuit said that “unlike other independent agencies not accountable to the president whose leaders are instead checked by commissions, the CFPB had a ‘novel’ structure in which a single person headed it,” according to a Reuters report. Despite the ruling that the CFPB’s organizational structure is unconstitutional, the Court said that the CFPB can continue operating under its sole director’s supervision, though by allowing the President to remove the director at will. In addition to the ruling, the Court also tossed out the CFPB’s imposed penalty of $109 million against N.J.-based mortgage servicer PHH Corp., whom the Bureau had alleged broke the law when it referred customers to mortgage insurers who then bought reinsurance from a PHH subsidiary. The decision by the Circuit Court against the CFPB justifies what some lawmakers and advocacy groups, such as the U.S. Consumer Coalition, have been arguing for years regarding the Bureau’s legitimacy. “The court’s decision that the structure of the CFPB is unconstitutional undermines the agency’s legitimacy, and the concentration of power at the top has led to the rampant discrimination, reckless rulemaking, and employee abuse that is now the legacy of this controversial agency,” said U.S. Consumer Coalition President Brian J. Wise in a written statement issued Tuesday. The CFPB has often been the subject of controversy among lawmakers, mortgage industry groups and consumer advocacy organizations alike, who argue that the Bureau, which isn’t subject to congressional appropriations like other government agencies, has become a “rogue” agency. “Congress must pass comprehensive Dodd-Frank reform that includes an overhaul of the CFPB, including a change in the leadership structure, bringing the agency under the traditional congressional appropriations process, and subjecting it to the same anti-discrimination standards as other federal agencies and private corporations,” Wise stated. Tuesday’s ruling is not only a win for PHH Corp., but is also a victory for the mortgage industry, says Joseph Lynyak III, partner at the international law firm Dorsey & Whitney, which closely follows the CFPB and its dealings. “Among other things, the DC Circuit held that the CFPB was unconstitutionally structured, it had completely misinterpreted clear mortgage statutes, it had acted in violation of due process in regard to PHH mortgage, and had erroneously determined that no statutes of limitations applied to it,” Lynyak said in a prepared statement. But while the Court prospectively cured the CFPB’s “constitutional infirmity” by subjecting the Bureau’s Director to the hiring and firing authority of the President, Lynyak says the Court’s ruling left open the issuer of whether all the past actions of the CFPB—including billions of dollars of penalties collected—are void or voidable. 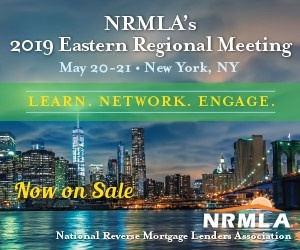 “Finally, in a significant victory for the mortgage industry, the DC Circuit interpreted provisions of the Real Estate Settlement Procedures Act in a manner that reinstates the legality of contractual agreements between participants in the mortgage industry,” he said. For others, the ruling is disappointing, but not surprising seeing as how conservative members of Congress have been consistently trying to weaken the CFPB. Most recently, Republican lawmakers unveiled legislation to overhaul the CFPB by gutting the Wall Street reforms that created it.